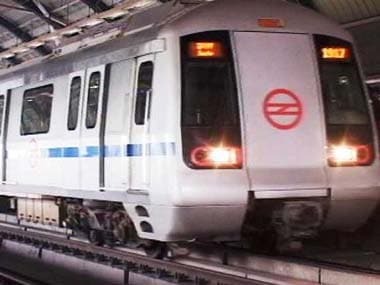 New Delhi: A metro train was evacuated at the Rajendra Place station on Thursday after a thick plume of smoke was seen billowing out of its last coach around 4 pm. The affected train was immediately withdrawn from service, a metro official said. Services on Blue Line were hit briefly as the incident occurred minutes ahead of the peak hour. Although smoke could be seen near A/C vents and pantograph of the train in few videos taken by passengers present on the spot, the actual reason could not be immediately ascertained, the official said. "An incidence of smoke emanating from the top of a train coach was reported today at 4 PM on Line-3/4 (Dwarka Sector-21 to Nodia City Centre/Vaishali). "The smoke was reported in the last coach of train (six coach) by passengers at Patel Nagar station. As a precaution, the coach was evacuated in the next station. The train was thereafter withdrawn from the service and sent for investigation," a DMRC spokesperson said.